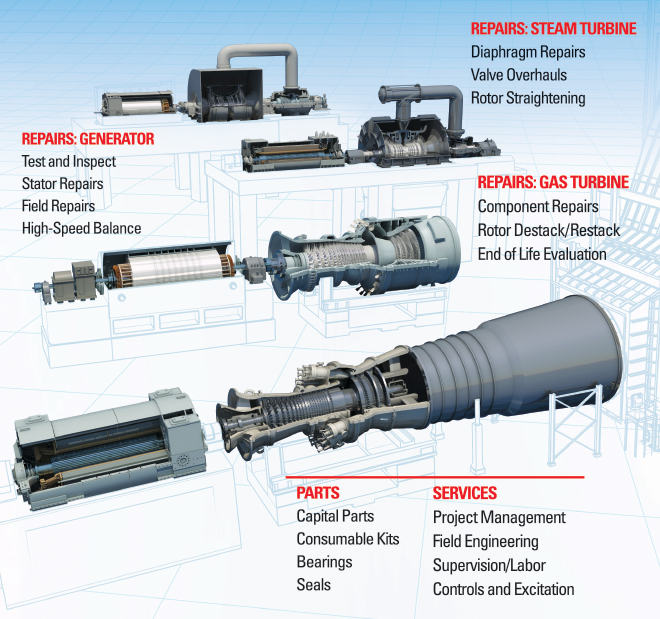 In our 35 years, our commitment to excellence has earned customer trust for all turbine-generator needs. We focus on delivering consistent quality and value with fast response, superior communications, and innovative solutions. MD&A is easy to work with. We provide immediate access to expert help when you need it, where you need it. Around the corner or around the globe, we ensure prompt, thorough communication and follow-through. For every repair job, large or small, the speed and effectiveness of our response team is matched only by the depth and breadth of our engineering expertise. Find out today why so many power generators use MD&A to maximize operational effectiveness. Go to our Literature page. Read our MD&A Insight blog.